Call: Amber Jones on (02) 6674 1406 . Email: Amber Jones at amber.jones@taphouse.com.au. 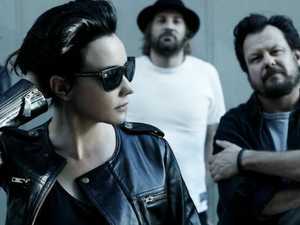 Hot on the heels of the scorching new single ‘Tonight’, their first new music in five years, comes news that Baby Animals will perform at The Kingy on March 22. Hot on the heels of the scorching new single ‘Tonight’, their first new music in five years, comes news that Baby Animals will perform at Kingsliff Breach Hotel 22 March 2019. ‘Tonight’ is a welcome return from one of the country’s most loved rock bands. It is classic Baby Animals, featuring Suze’s soaring vocals, Dave’s trademark guitar crunch and a rumbling rhythm section. It’s Baby Animals 2018, a song about being there for a loved one, written by Suze after her father passed away suddenly last year.